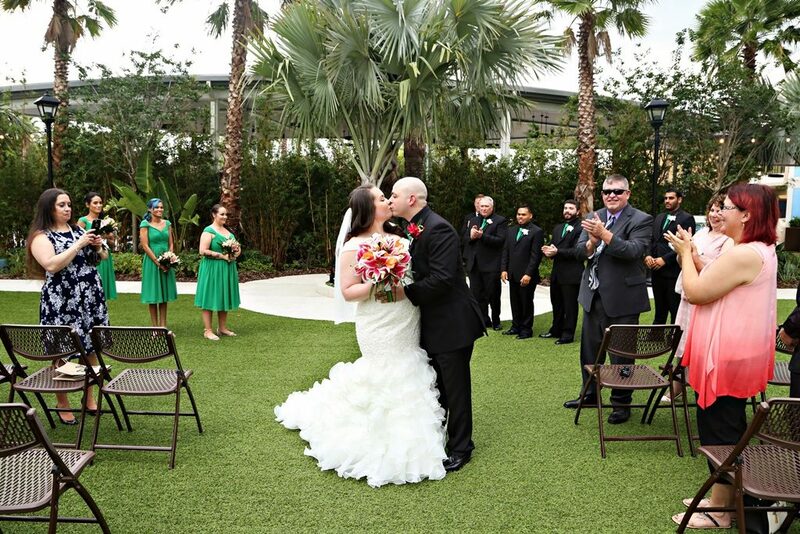 Weddings in Orlando | The Sapphire Falls Wedding of Christine and Eric - Orlando Wedding Planners | Just Marry! 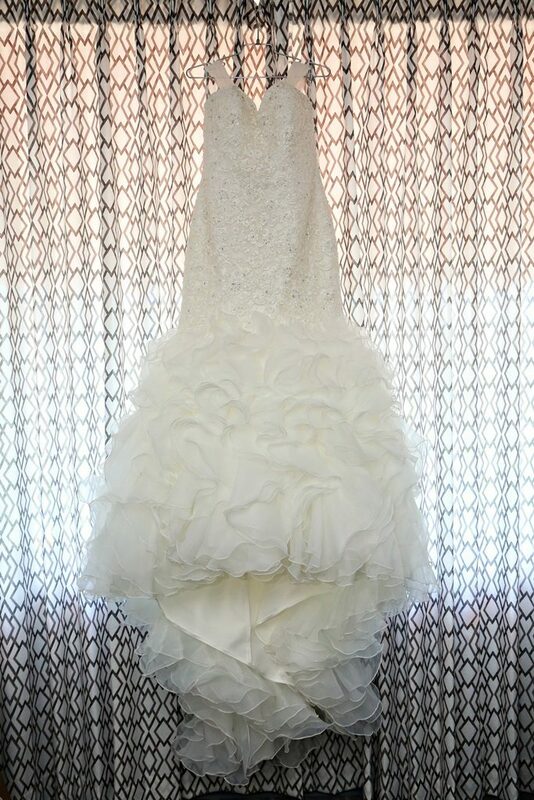 April 12, 2019 by Just Marry! 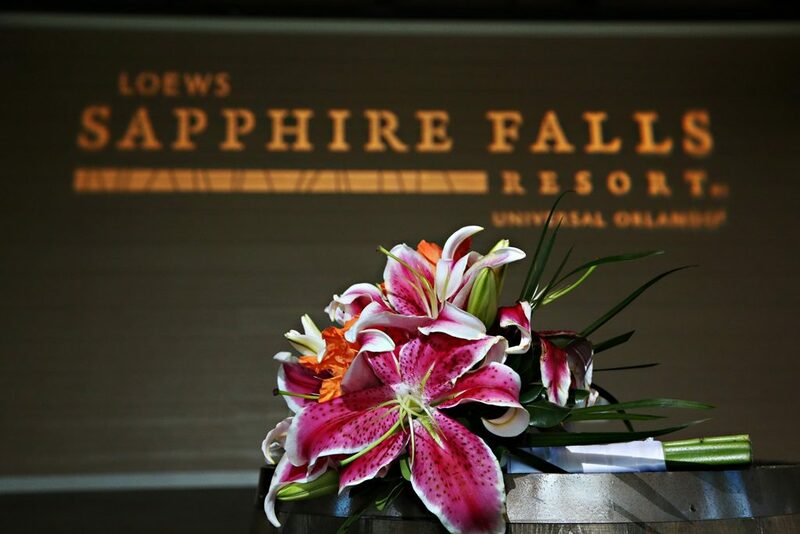 The Loews Sapphire Falls Resort is one of the most beautiful places to host weddings in Orlando. 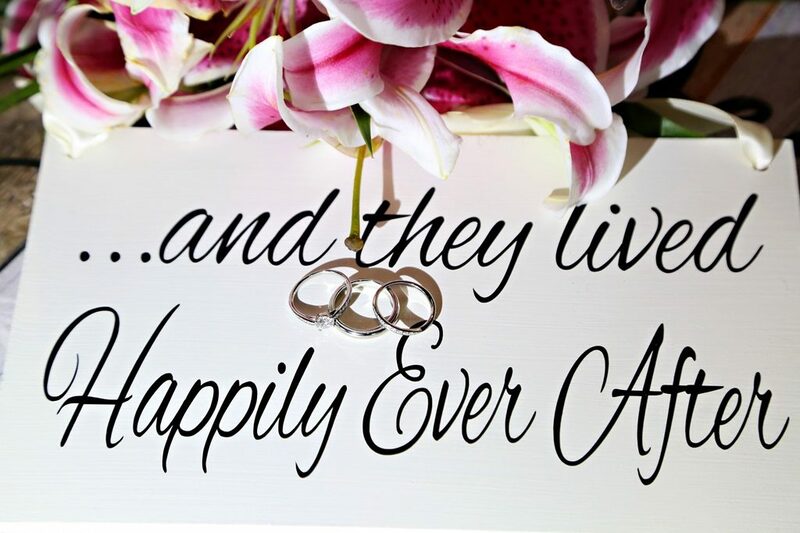 That was just one of the reasons Christine and Eric decided to exchange their vows there last May. 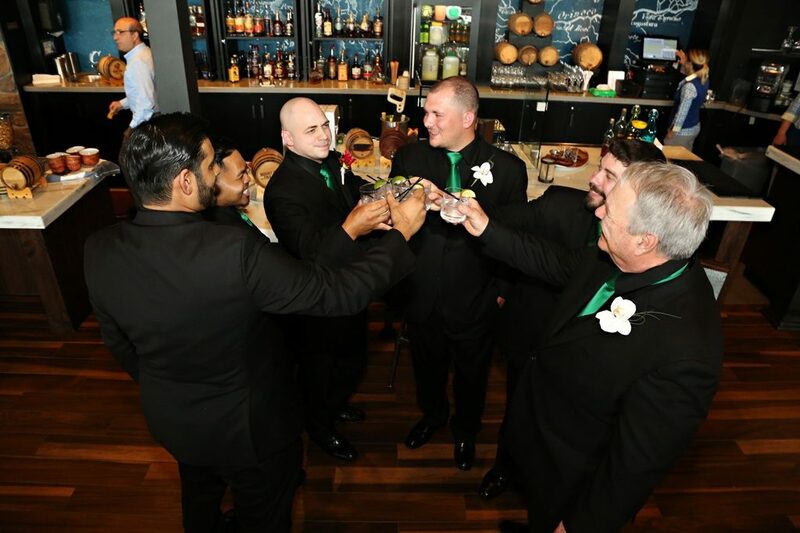 Our team had the absolute pleasure of helping them plan and execute their dream wedding day. 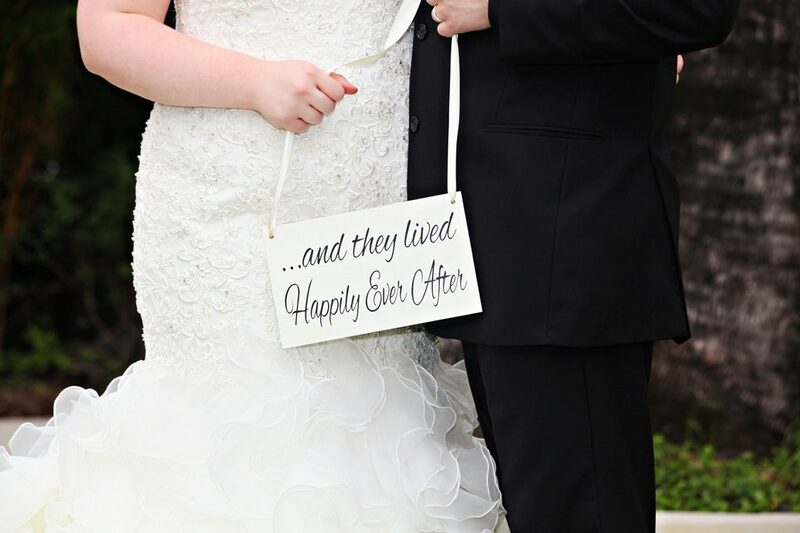 There were so many fun details to love about this wedding. 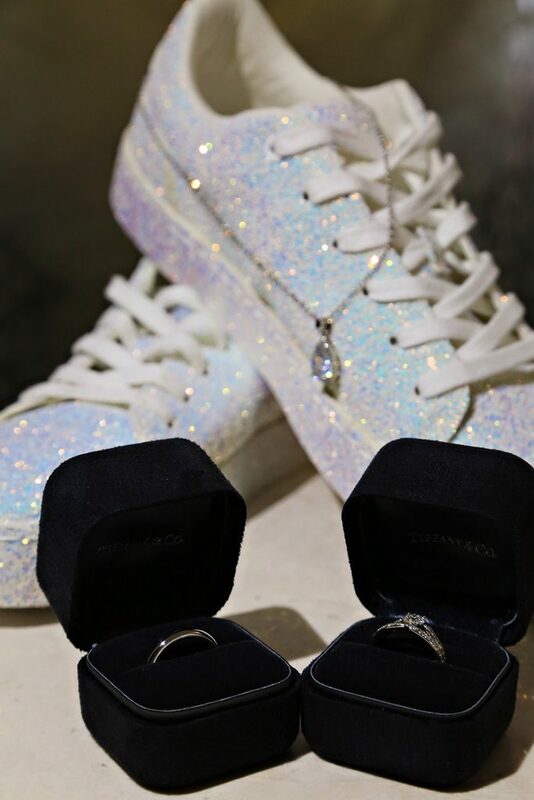 The bride’s dazzling sneakers gave her wedding gown a little bit extra pizzazz, though the dress was quite spectacular all on its own! 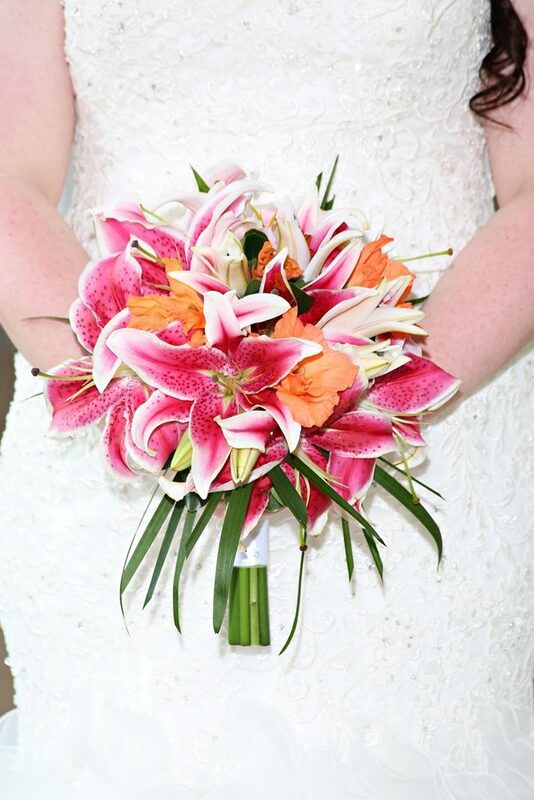 We also loved her gorgeous tropical floral. 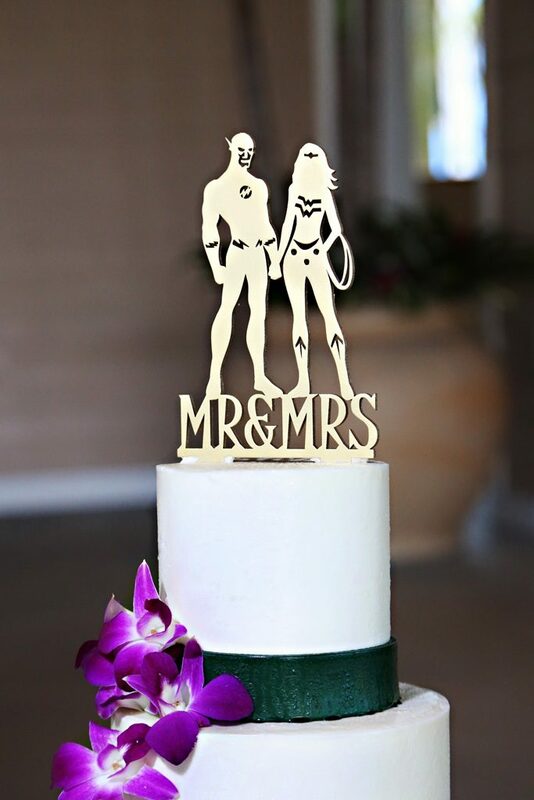 It was the perfect accent on their overall wedding theme! 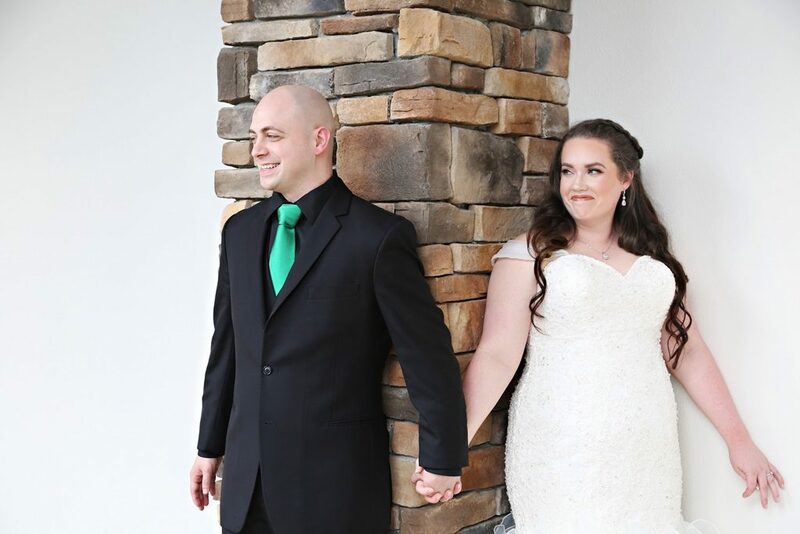 Read on to learn more about Christine and Eric’s special day. 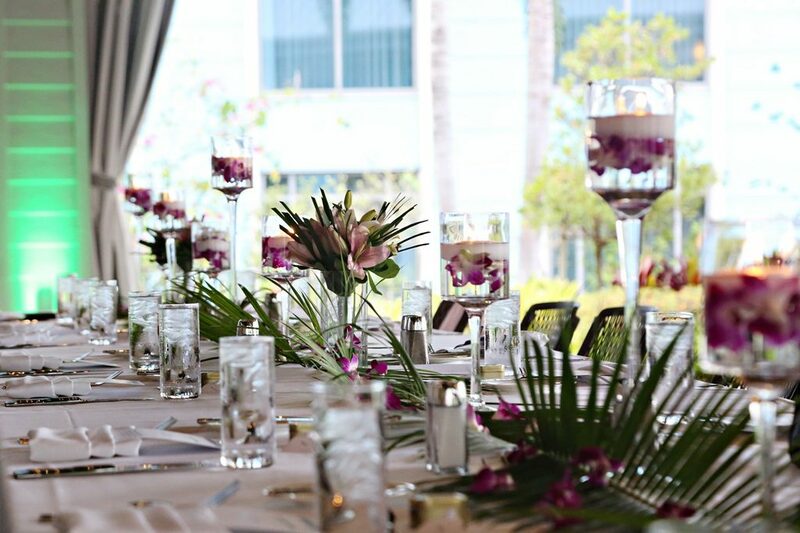 Wedding Planner/On-Site Coordinator: Jessica Yutangco, Just Marry! 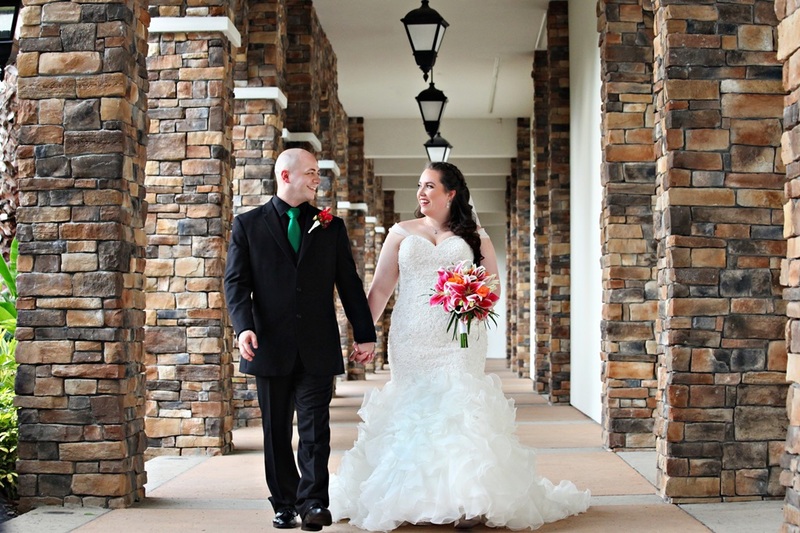 "Eric and Christine were such a joy to work with! I loved seeing their silly sides come out throughout the day. They made each other laugh nonstop! 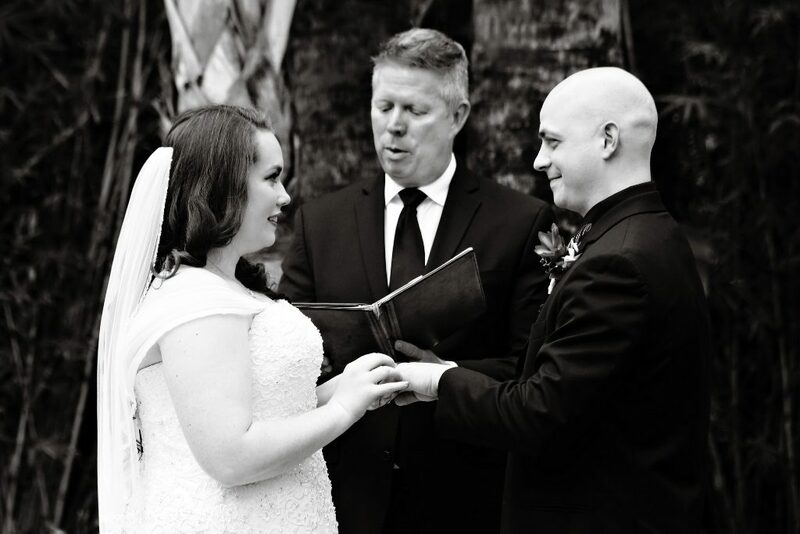 They had a touching ceremony performed by Rev. Glynn, and there was not a dry eye in the house. 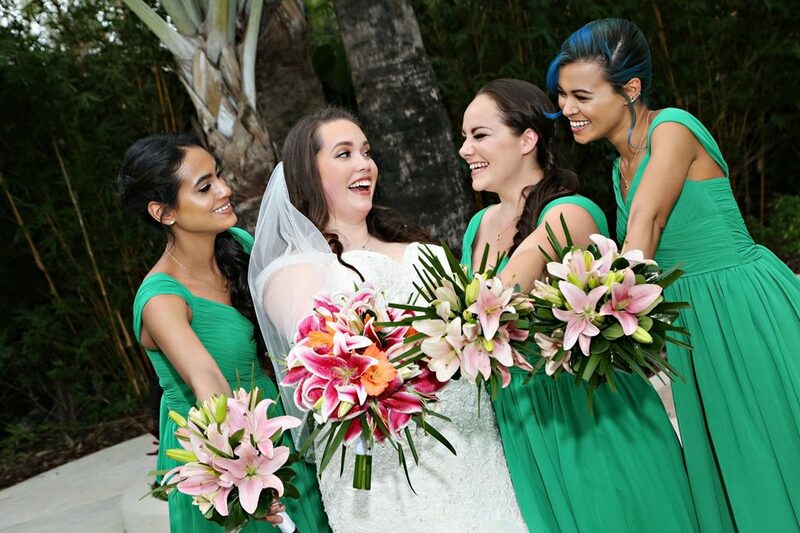 Greenery Productions provided the perfect tropical floral for the occasion, while Regina and Gary Hyman photographed every fun and sweet moment of the day. 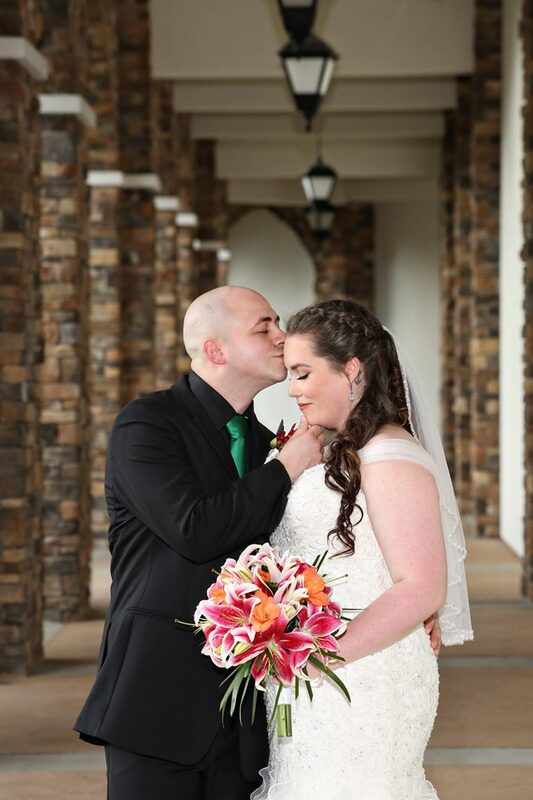 It was a wonderful wedding that I’ll never forget!" 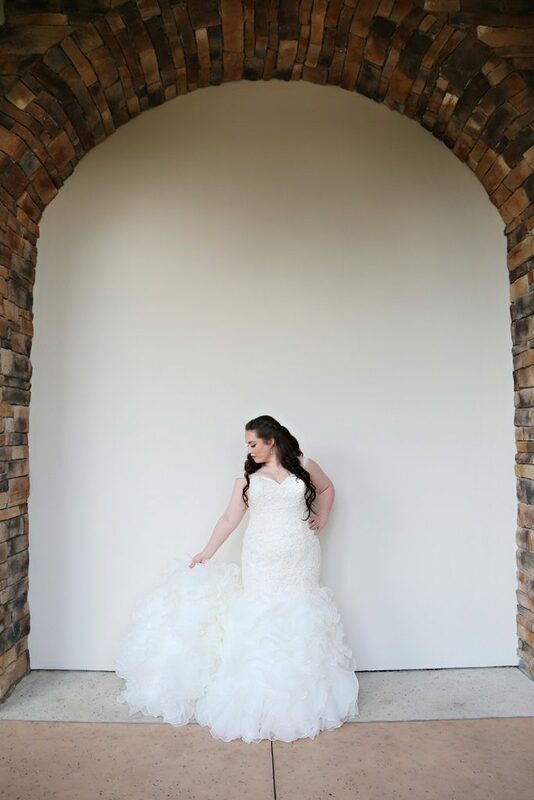 Are you researching weddings in Orlando? 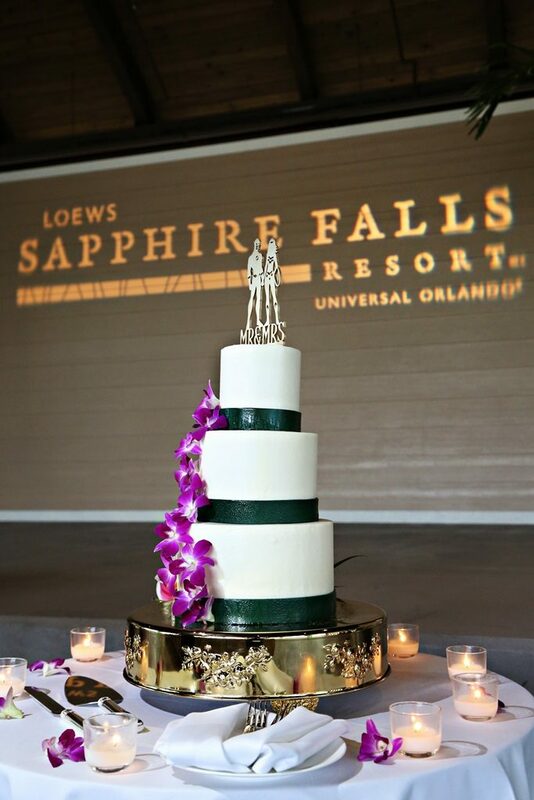 Or would you possibly like more information about weddings at the Sapphire Falls Resort? 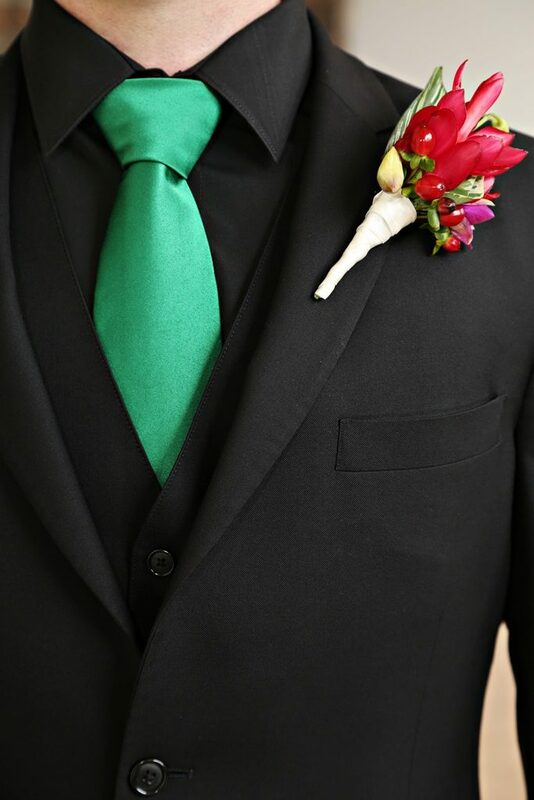 Whatever your planning needs, simply fill out the form below and a member of our planning team will reach out to you right away. 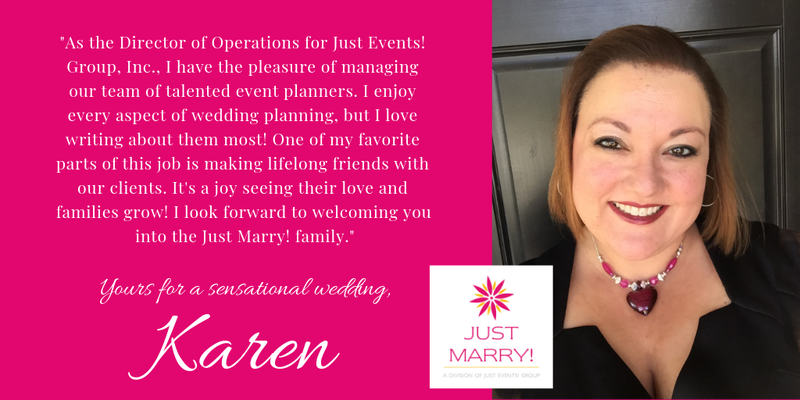 We would love to welcome you to the Just Marry! family!